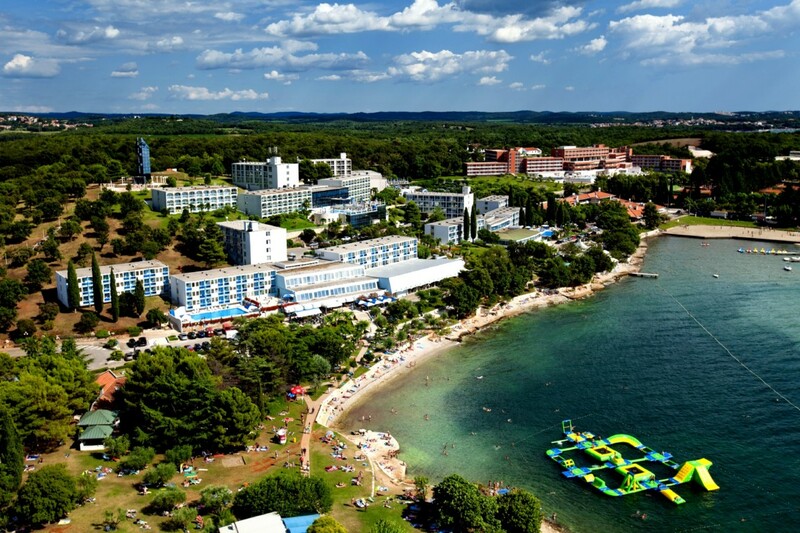 Hotel Plavi Porec is a three star hotel, located in the Zelena Laguna holiday resort, about 5 km distance from the center of the charming old town of Poreč. 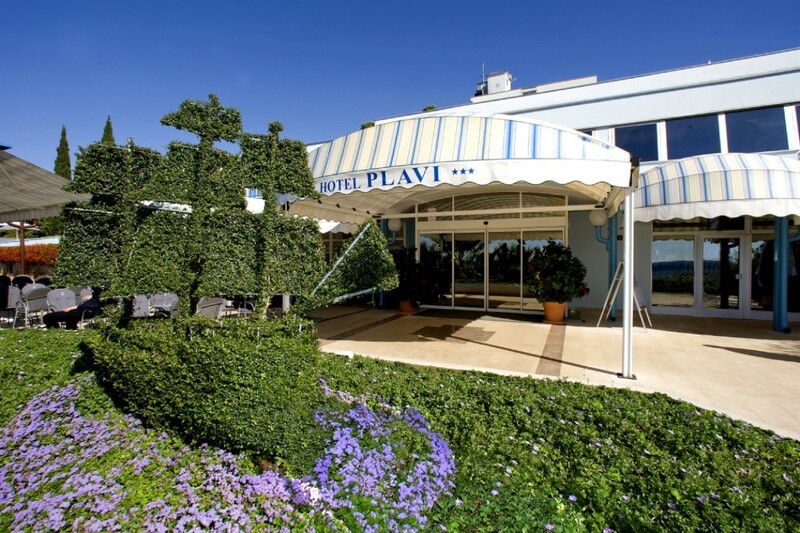 Hotel Plavi enjoys a convenient location 30 metres from the Blue Flag awarded beach, combining high-quality services and a rich entertainment programme with superb facilities. There are 214 comfortable rooms, all of them equipped with air conditioning, direct dial telephone, sat TV, hairdryer, fridge and safety deposit box on request. 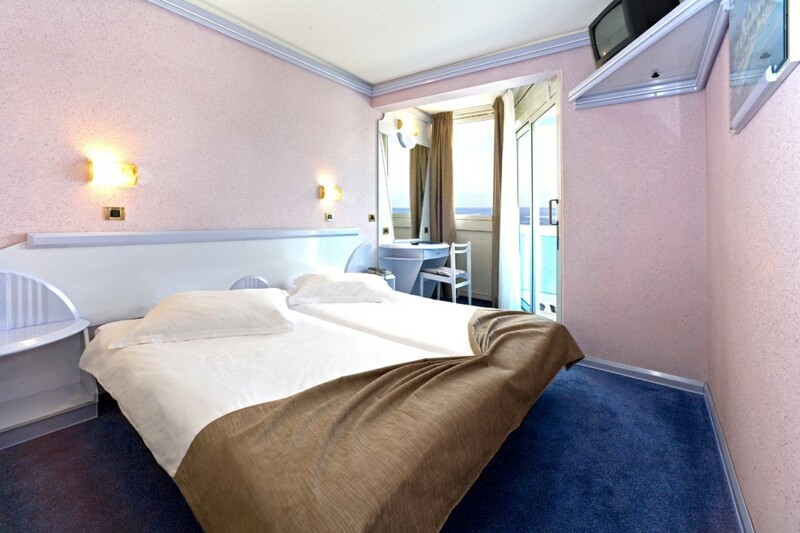 Double Room with Balcony, up to 2 persons, included in room price: VAT, breakfast, dinner. Not included in room price: city tax. Hotel facilities are available, such as Meeting/Banquet Facilities, Laundry, Currency Exchange, Souvenirs/Gift Shop, Bicycle Rental, Packed Lunches, Car Rental, Fax/Photocopying, ATM/Cash Machine on site. Also, wired internet is available in public areas and costs EUR 4.00 per hour. 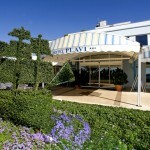 Private parking is possible on site and costs EUR 1.00 per day. Breakfast and dinner are being served daily. Special food for vegetarians is available on request. Gourmets will particularly enjoy the beautiful buffet table that offers free drinks. If you happen to find yourself having an early dinner near the glass windows that look out into the sea or the terrace, you will be spellbound by the colours of the sunset. Beach volleyball is available free of charge while tennis, volleyball, mini golf, scuba diving, riding, squash, pedal boats, football, basketball, bicycles, canoeing and table tennis are available on charge. The animation for children includes daily Mini club and Mini disco (4-12), except on Saturdays, with creative workshops, sports and games. There is also the animation program for adults and includes morning gym workout or aquaerobic every day except on Saturdays. Sports tournaments in beach volleyball, beach football, football, table tennis and mini golf are being organized. 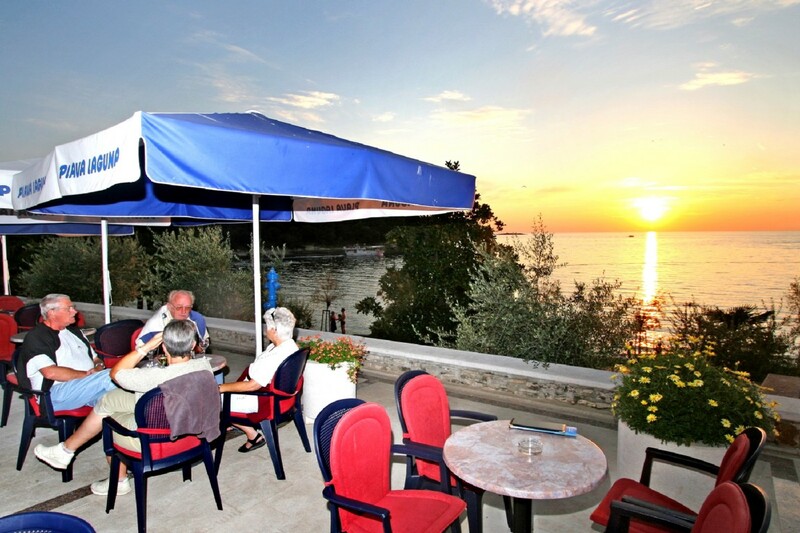 On the Blue Flag awarded beach and on the other smaller, rocky beach by Hotel Plavi, guest have at their disposal deck chair and umbrellas, showers, restaurants and bars. 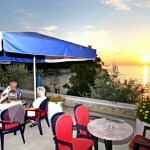 There are many nice and interesting ways of reaching the old town of Porec. There is a bus towards the city of Porec leaving near the hotel every 60 minutes, slow train leaving every 30 minutes and ship leaving every 60 minutes.